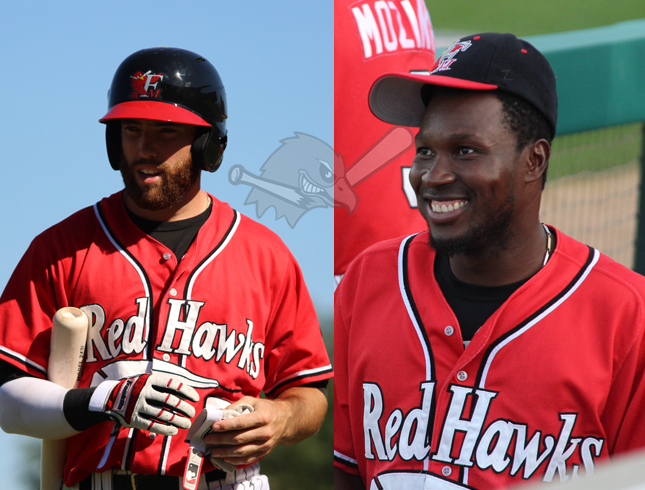 The Fargo-Moorhead RedHawks have re-signed a trio of players from the 2016 team to contracts for the upcoming season: RHP Jose Almarante, CF Kes Carter and LHP Will Solomon. The RedHawks now have 14 players under contract for the 2017 season. Almarante, 28, was 4-2 with a 2.74 ERA and one save for the RedHawks in 2016. He appeared in 25 games (15 starts) and allowed 45 runs (35 earned) on 99 hits. Almarante struck out 86 batters and walked 36. He finished third in the American Association in ERA. Almarante pitched this winter with the Toros de Sincelejo of the Colombian Winter League, where he was 2-4 with a 3.30 ERA in 62.2 innings pitched. He began his professional career in 2008 after signing out of the Dominican Republic with the St. Louis Cardinals, and reached the Triple-A level in 2013 and 2014. Carter, 26, batted .280 with 23 doubles, three triple, 16 home runs, 57 RBIs and 50 runs scored for the RedHawks in 2016, his first year with the club. Carter finished fifth in the American Association in extra-base hits, while his 247 putouts and 255 total chances ranked second among all league outfielders. Carter was selected in the first round (56th overall) of the 2011 draft by the Tampa Bay Rays. He spent five seasons in the Rays organization, and advanced to the Double-A level in the 2014 and 2015 seasons. Carter played college baseball at Western Kentucky University. Solomon, 24, joined the RedHawks in June of last season after completing his college career at Georgia Gwinnett College. He was 6-3 with a 5.15 ERA in sixteen games (ten starts) for Fargo-Moorhead in 2016. Solomon pitched 71.2 innings and allowed 50 runs (41 earned) on 82 hits while striking out 39 batters. He also racked up a pair of complete games.